It’s no secret that I enjoy a good homestyle burger — the kind that you find only in the not-fast-food places tucked away off the beaten path. One thing I know for sure is that you have to be intentional about seeking out eateries that cook delicious burgers, fries, and onion rings. But, if you can navigate past the alluring songs of the fast food sirens, I promise you that you can find a better burger off the beaten path. In my ongoing search for the most delicious burgers in the Lone Star State, I came across the Back Street Cafe this week. This cafe is located in Sinton, Texas, the county seat of San Patricio County and a popular destination stop for antique shoppers. Sinton is an easy 28-mile drive north of Corpus Christi and can be reached via US highways 77 and 181. I arrived at the Back Street Cafe for a late lunch while traveling from South Texas to Katy along Highway 77. My smartphone guided me from the highway to the cafe on the corner of South Rachel Avenue and East Borden Street. The ample cafe occupies a building that was previously a pharmacy. The entrance is indeed on the back street — on East Borden. My first impression was the cleanliness of the place and the small-town-friendliness of the staff. While the cafe offers a variety of delicious home-cooked meal options, I was there for one reason and one reason only — to try one of their hamburgers. I chose the cheeseburger served on a sourdough bun and an order of french fries. To my surprise, my waitress invited me to enjoy their complimentary bean bar while I waited for my burger. She didn’t have to ask twice. 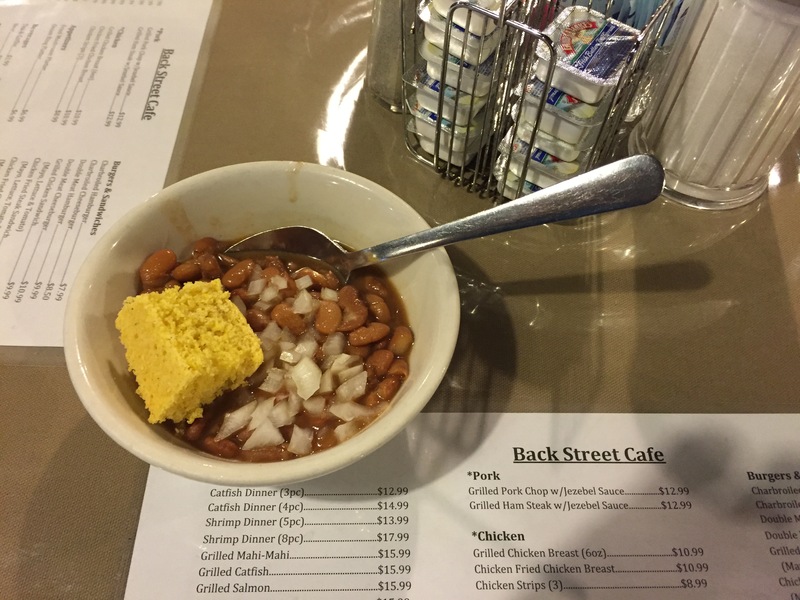 A small bowl of hot pinto beans sprinkled with fresh onions and a piece of cornbread was the perfect appetizer. As for the burger — well, all I can say is that I hit the jackpot, again! The lettuce and tomatoes were fresh, the meat was hot, and the bun was amazing. As I have said before, a bun can make or break a burger. The sourdough bun was fresh and beyond delicious. And the generous portion of french fries were hot and perfectly crispy. Add a glass of really cold iced tea and I was in burger heaven. I’m glad that I found the Back Street Cafe and will return the next time I am anywhere near Sinton. Eating a delicious burger is one thing, but enjoying a burger at a place where the wait staff is attentive and friendly makes it an even more enjoyable experience. 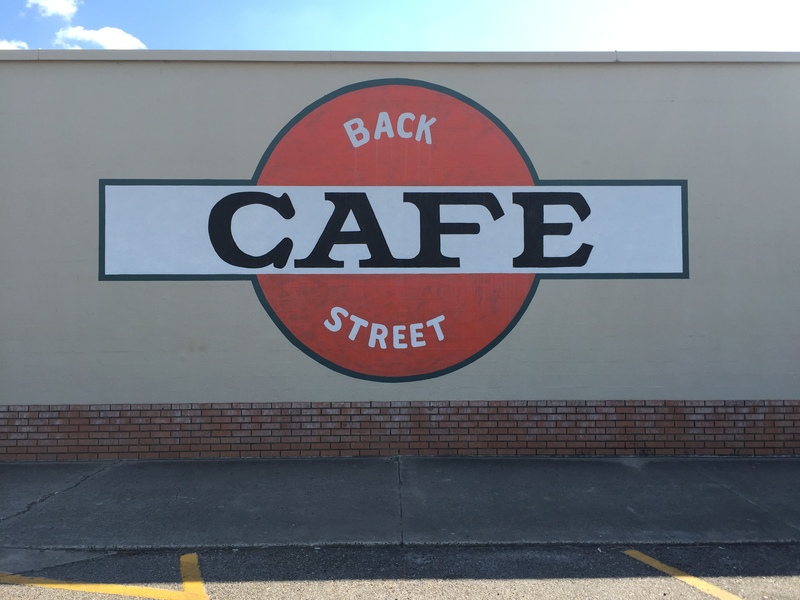 I hope that you’ll have an opportunity to visit the Back Street Cafe. They are open Monday through Friday only from 11:00 AM to 8:30 PM. That’s more than enough time to eat and enjoy one of their delicious burgers! This entry was posted in Places To Eat and tagged Back Street Cafe, Homestyle Hamburger, Sinton. Bookmark the permalink. I’m enjoying your comments re finding the good burger places. Got a couple of you: Bobby J’s in Helotes and Pollo Asado Norteno in San Antonio. I’ve had the “Norteno” cheeseburger at the latter, and from what I have been told, the fried chicken ain’t bad either. It’s on Rigsby in SE SA. Fantastic, Nolan. Appreciate the recommendations and look forward to eating at the spots. Sound delicious. 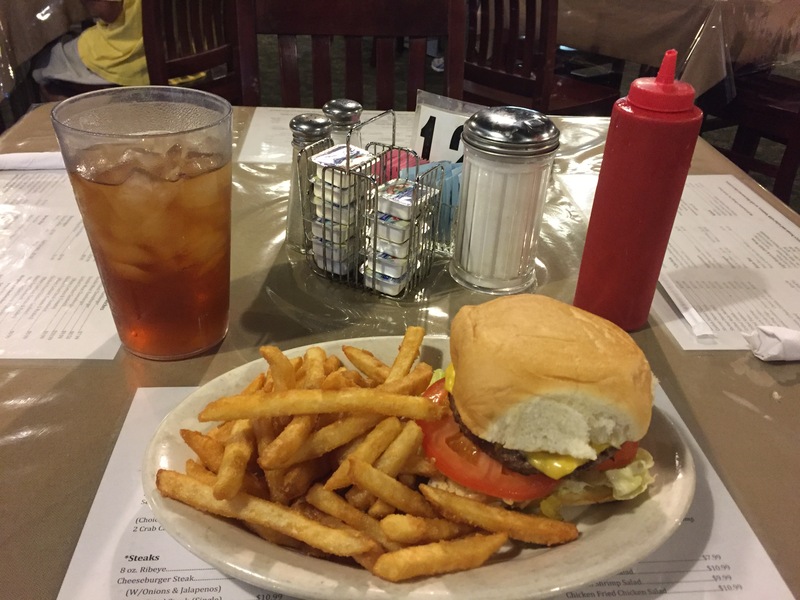 Omar: Great blog and yummy burger… just like the one in New Ulm, TX. Missed seeing you last weekend. Thanks, Selim. I was happy to find yet another good burger.